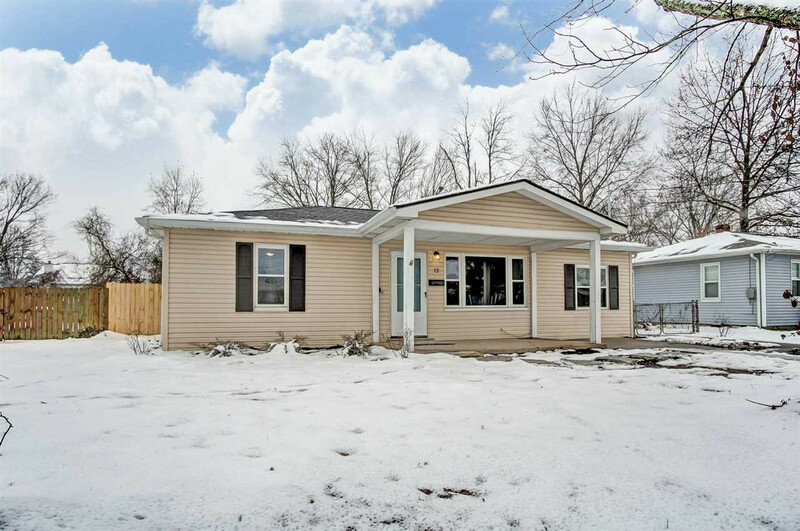 Adorable, professionally renovated & updated 3 bed, 1 bath RANCH home with open layout! True no step living. Brand new bathroom w/ deluxe spa shower system, new cast iron tub, new vanity, mirror & lighting you will LOVE! Beautiful bright kitchen with IKEA cabinet system. Upgrades galore! New roof, HVAC system, 200-amp electrical service, & new dishwasher. New flooring: wood-grain laminate, composite vinyl tiles, and carpet. Decorative barn doors, ceiling fans, granite & butcher-block counter tops, SS appliances, new landscaping with 1 yr guarantee. Large fenced back yard. Convenient location!